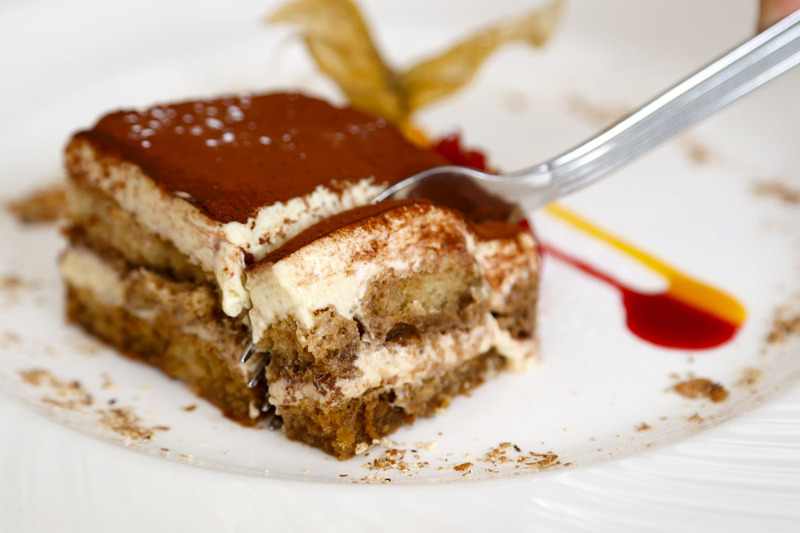 The last time I went to La Nonna at Holland Village, I remembered the restaurant for its hearty classic Italian dishes, especially its traditional Venetian-style tiramisu. 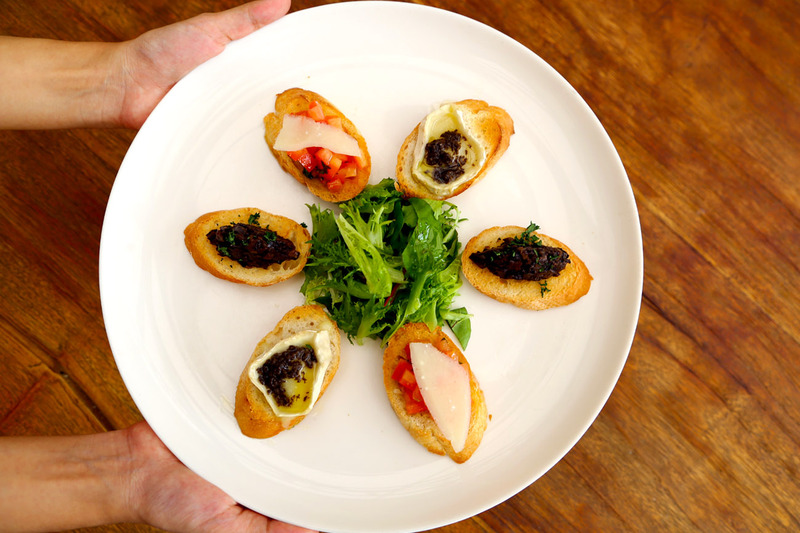 The name ‘La Nonna’ means ‘grandmother’ in Italian, with an implication that food served would be homely and unpretentious. 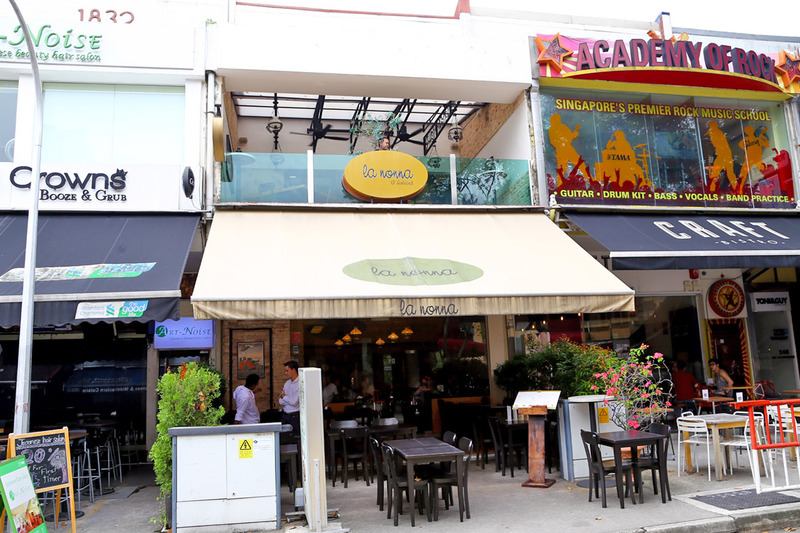 My return was for the “Family Brunch at La Nonna”, where groups can feast on FREE-FLOW All-you-can-eat Italian dishes from antipasti, pasta, pizza, mains and desserts. Serious. All at a price for $39++ per adult, and $19++ for children (between 6-12 years old). That also includes free-flow soft drinks, fruit juices and coffee or tea. 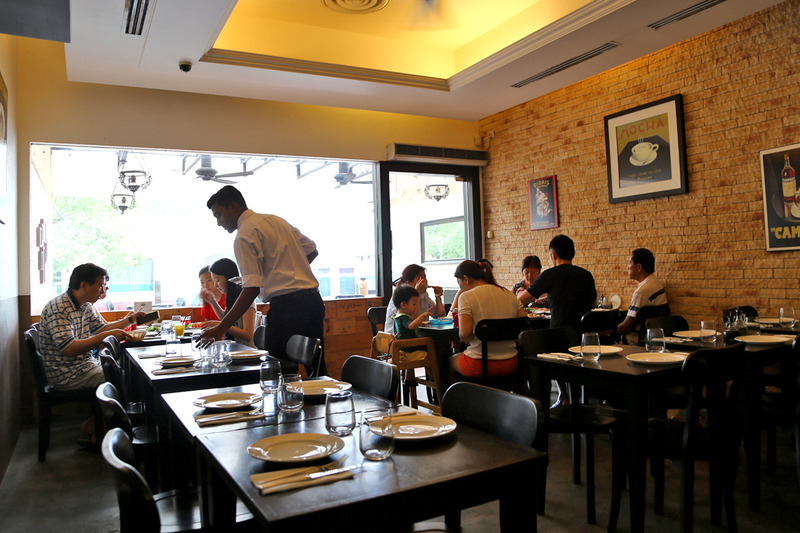 This is indeed value-for-money, and getting quality dishes for your money’s worth. I did some comparison, and a pasta dish ordered separately would have cost about $25. 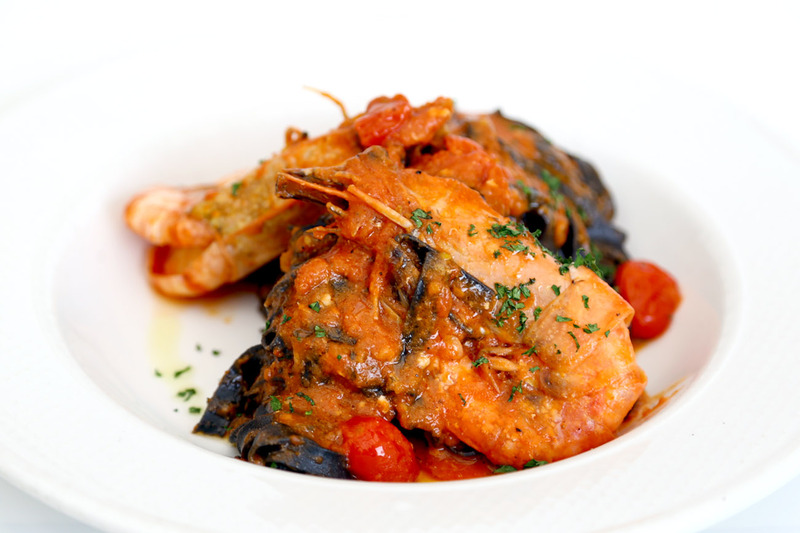 To address some possible concerns, La Nonna is serving these dishes in the same proportion and quality as what you would have ordered ala-carte. On the Sunday I visited, there were choices of 4 starters, 5 main courses and 2 desserts. Diners can order multiple times, and vegetarian options are available upon request. The items on the menus rotate every 2 weeks. Easily my favourite. 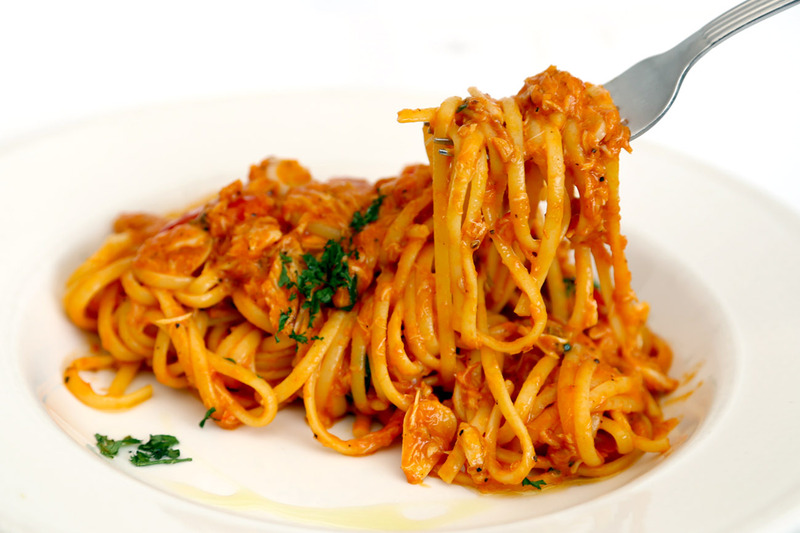 A satisfying plate of home-made pasta with zesty and creamy tomato sauce, added with a touch of basil. The crabmeat was generous in portions, and fresh-sweet tasting. Black is in. The squid ink fettuccine pasta had a good chewy bite, and was interestingly cooked in a bright-tasting Pomodoro sauce with puréed texture (Not as common, I think?). Pleasantly not too heavy. Did I mention about the two ‘butterfly’ grilled king tiger prawns? We had differing views about the bruschetta. One preferred toppings of tomatoes which was simple and refreshing; another liked the porcini mushroom, while I enjoyed the goat cheese with truffle paste which created a persistency in the mouth. 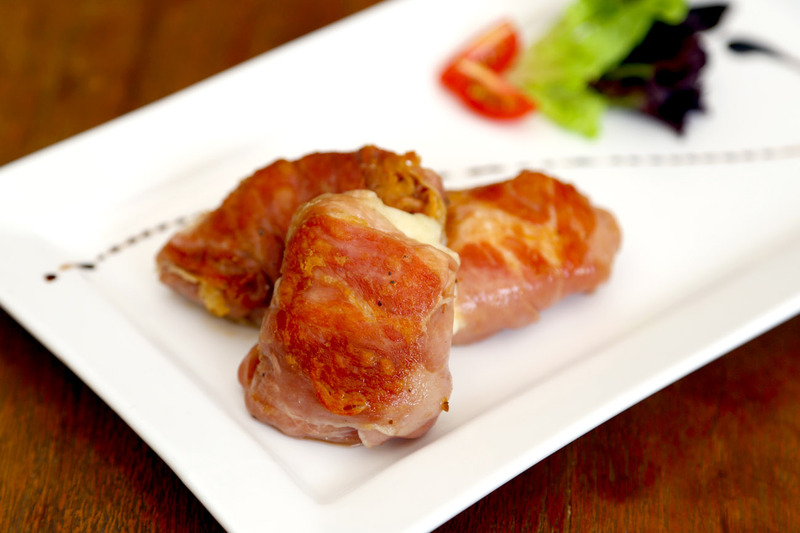 A delicious and ingenious combination of salty 18-month aged parma ham, with milky pan-fried buffalo mozzarella wrapped within. The mozzarella originates from ‘Agro Pontino’, an area located in Lazio which is considered one of the best region producers of mozzarella cheese in Italy. 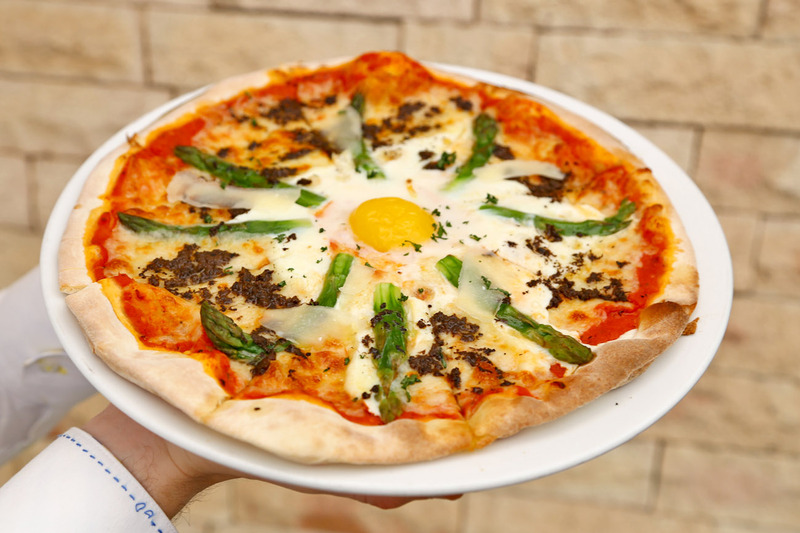 This is their signature pizza, topped with tomatoes, mozzarella, parmesan, asparagus, black truffle, complete with a runny egg in the middle. The crust is the thin and crispy kind, smoky at the edges after baked in a wood-fired oven. Have to eat this fast as the base became chewy and soft after moments. 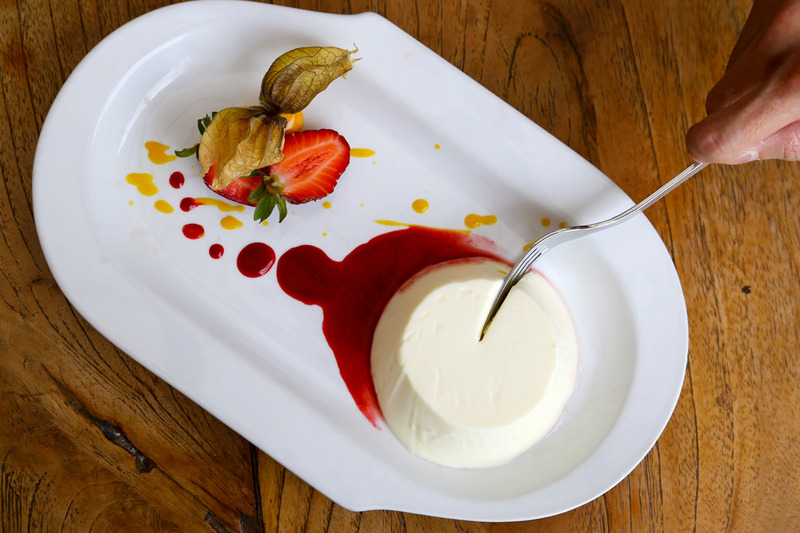 This is tough to decide, but I liked the Panna Cotta best – an egg-less vanilla custard cream served with fresh berry coulis. The sensation when you take a spoon of the chilled Italian dessert; that moment of happiness when that soft, silky smooth cream melts-in-your-mouth. 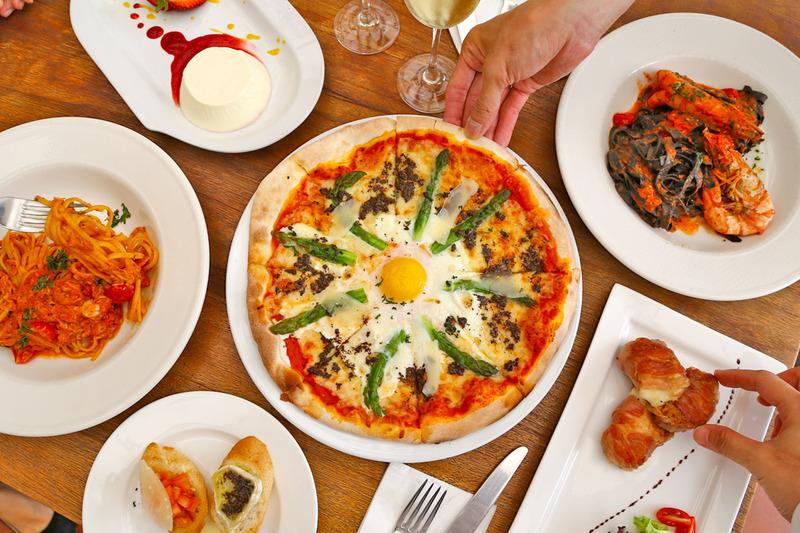 La Nonna’s Family Brunch is available every Sunday (only at Holland Village outlet). Featuring free-flow hearty Grandma’s dishes, served with free-flow soft drinks, fruit juices and coffee & tea. Add on for free-flow of Prosecco, Italian Wines & Premium Beers. Minimum 2 pax. Available for the whole table only. Not valid with other discounts/promotions. 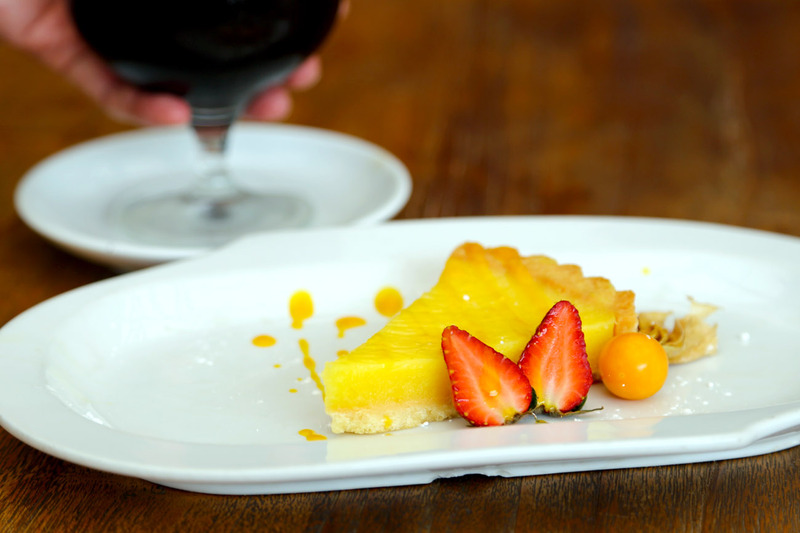 3-course menu served with gourmet coffee or tea. 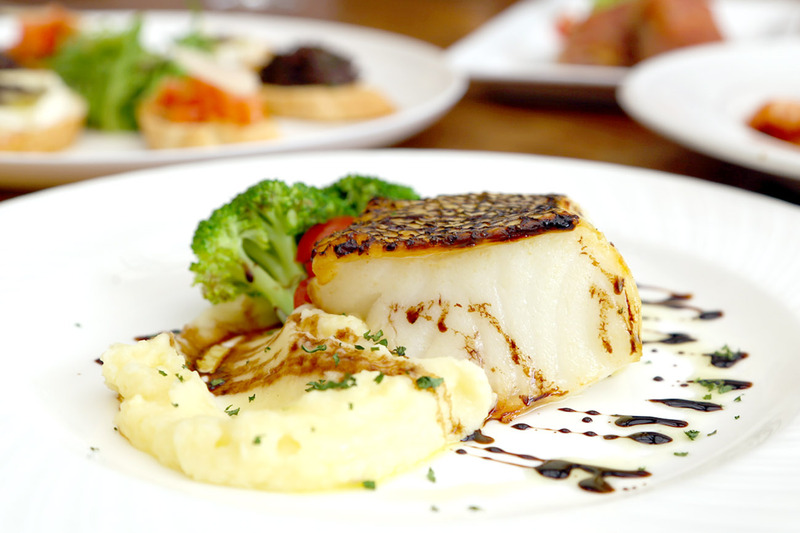 Menu changes every 2 weeks, with inclusion of seasonal items not included in the usual menu. 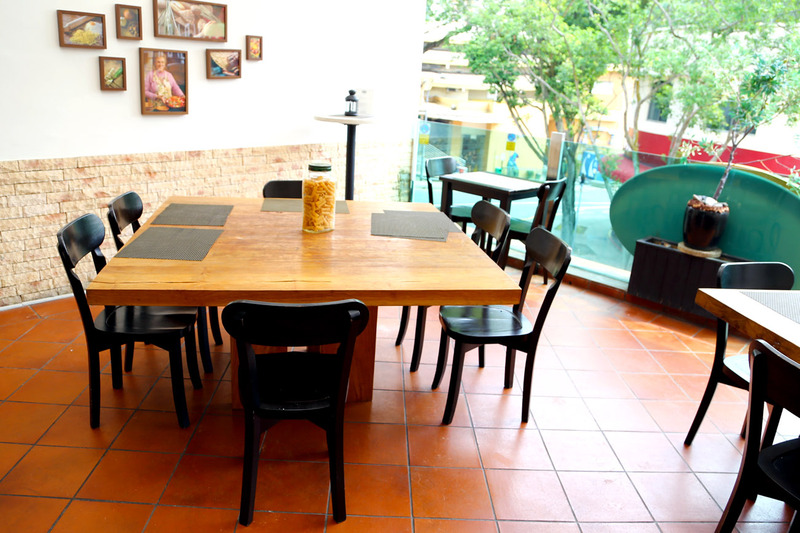 Diners can choose any pizza or pasta from the ala carte menu. Happy Hour Special of $6++ per bottle for Moretti Italian Beer (U.P $10++) or $8++ for a glass of Wine (U.P $14++) with friends. Only at Holland Village outlet. * This entry is brought to you in partnership with La Nonna.